Wait… I thought you were in college. what happened? When I graduated from high school in 2013, I never imagined I would do something like YWAM. I planned to graduate from college in four years and begin my life with whatever career my English major secured for me (probably McDonalds as was often pointed out to me). However, I wasn’t concerned. I knew God would reveal the career path He had planned for me in His timing. What I never imagined was that this would be the direction He would take me. Through my time at SDSU, God drew me closer to Him and put on my heart His love for the nations and missionary work. 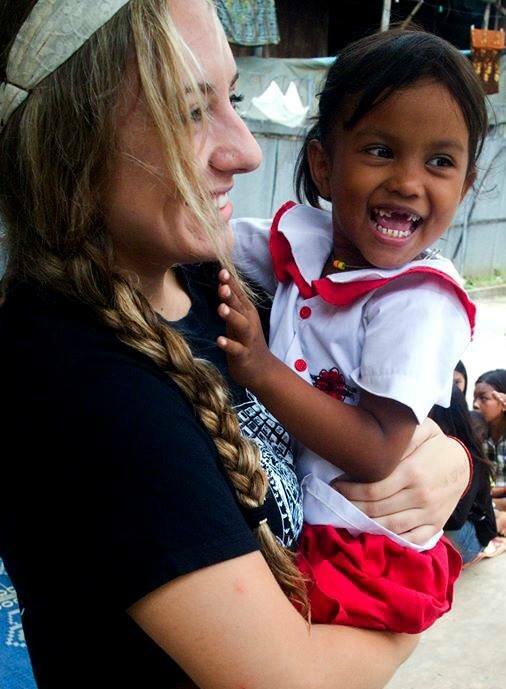 Last summer when I had the opportunity to go to Cambodia on a missions trip, I knew that this was what I was created for. Now, I’m incredibly excited to pursue this dream God has placed on my heart by attending YWAM where I will learn more about Him and put that knowledge to use in Southeast Asia. I know that YWAM is God’s next step for me, and I can’t wait to go on this journey with Him and bring His love to the nations! YWAM stands for Youth With A Mission and is an all denominational Christian missions organization focused on Knowing God through biblical study and teachings and making Him known through outreach to the nations. There are two phases to YWAM, The DTS phase and the outreach phase. DTS stands for Discipleship Training School and is a three month program dedicated to learning about God. This will take place on the YWAM base in Maui, Hawaii. I will be living with students of all different nationalities and backgrounds dedicated to learning about who God is through study and teachings. The Outreach Phase is where I will put all of my discipleship training to use by traveling to third world locations in Southeast Asia. This will include everything from service projects and medical assistance to street evangelism and teaching. I’m so excited for this new season of my life and all that God has planned through it! I would love if you would partner with me through prayer or finances! or by simply making out a check to CLOVIS CHRISTIAN CHURCH and putting YWAM MADI in the memo line. I will send you a tax deductible receipt for your records.